I was in the Midwest league in 1996 and at that time, still a starting pitcher throwing from an over the top slot. I was having a very mediocre year at that point in the season and considering my velocity was only 83-87, my pitching coach and I had started working on different deliveries to change the view of the hitter. At the end of my first bullpen, my catcher commented that I had better velocity and life on the ball when I dropped down. In my next start I tried to alternate my arm angle and the results were not good, not to mention my arm was extremely sore. Prior to make next start, I was called into the coach’s office and I was certain I was getting released. Both my manager and pitching coach said to stick to a sidearm delivery for a while and see if I like it. My velocity got better (88-91), my arm felt great and my season completely turned around. 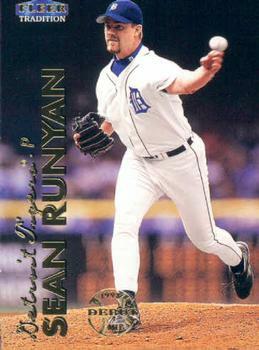 I was in AA the next year (1997) and the following year was in Detroit as a rule 5 pick. For me, converting to a sidearm delivery was the best career decision I could have made. In addition to the increased velocity, my fastball added a little sink which really helped with right handed batters. I lined up as far on the first base side of the rubber as possible, so my pitches would start behind left handed hitters. I would throw my breaking pitch (not really a slider or curveball, more of a “slurve”) at the hitter and due to the arm angle, it would break left to right, causing issues for lefties. No. This was at a time when the Houston Astros organization had a lot of power pitchers in the minor leagues and I was definitely not one of them. I believe you must trust your instincts…prior to the 1996 season, I felt like I could be a dependable left handed starter in the big leagues. But starting my 2nd season in the Midwest league and struggling the way I did with getting outs, I knew a change was needed. The key is that you must be HONEST with yourself…how does it feel when you drop down to a sidearm slot compared to throwing in your current arm slot? In a lower arm slot, do the pitches have more life? Have you come upon a point in your career where you need to make a change? For me personally, the side arm angle just felt more natural. Absolutely. Tip 1 is to remember to finish your pitches in terms of following through. I had a tendency to cutoff my pitches off which was a key factor in having 3 surgeries (2 shoulder, 1 elbow). Sometimes it takes an over exaggeration in following through from a side arm slot but if you skip it, your arm will pay for it eventually. Tip 2 is specific to throwing a breaking ball. When throwing over the top, most curveballs have a 12-6 rotation, so when you miss the zone, you either bounce it in the dirt or leave it up. From a sidearm angle, missing the zone results in either hitting a batter or throwing a wild pitch since the ball breaks horizontally. To help with this, I always threw breaking balls with my first few warm up pitches to get my release point down. I threw a 2 seam fastball, an occasional 4 seam fastball, “slurve” and a changeup. My fastball was typically in the high 80’s, hitting 90-92 every now and then (or maybe it was just the stadium guns turned up a bit!). My bread and butter as a left handed starter throwing over the top was a change up; luckily I was able to carry that over to a sidearm angle and would primarily use that and a fastball against righties, only throwing a breaking ball as a ‘show me’ pitch. Lefties would usually get all fastballs and breaking balls. I can think of many instances in which I was brought in to face certain lefties and was given a direct order to ONLY throw breaking pitches, even if it meant a walk. There was no better feeling than throwing a breaking ball to a left handed hitter and seeing them freeze up as if it was going to hit them and it ended up breaking right over the plate for a called strike. Or having them set up, looking for a breaking pitch and throwing a fastball right down the middle and they just watch it go into the mitt. Major league hitters are incredibly prepared for their at bats, so it really becomes a guessing game…they are looking for a specific pitch in a specific location and if they get it, most of them will hit it a mile. I grew up idolizing Wade Boggs and Darryl Strawberry and was lucky enough to strike out both in my first season….those are memories I will keep forever.